At PJ curtains and blinds, we take pride in being the most outstanding providers for soft furnishings all over Australia. Our curtains and blinds are made from the finest material, making them stand apart from other curtains and blinds providers. We have been successful in creating a benchmark and are recognized by our customers for curtain installation and curtain repair in Chadstone and other suburbs of Melbourne. In the busy and populous suburb of Chadstone, PJ curtains and blinds provide curtain repair services that are second to none in Chadstone. Our curtains, blinds and Venetians are available in a large variety and are made from the finest material. They can even be custom made on the desire of our valuable customers. We have an extensive range of blinds including Roman, block-out and sunscreen blinds. We also have Venetians made from Aluminium and timber. Timber Venetians are available in both real cedar and synthetic material, which means that you can install them in wet places like bathrooms and kitchens. The availability of curtains and drapes in different colours and sizes set us apart from most of our competitors. If you find it difficult to install curtains or blinds in your home, you can ask us to do so. Our professional workers make it certain to pay heed to every little detail when it comes to installing curtains for you. 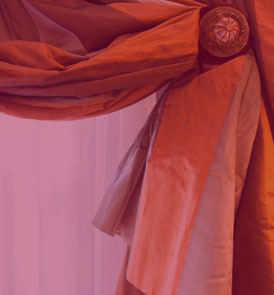 Our other services include curtain repair Chadstone for our valuable customers. We repair ragged and torn curtains, drapes, curtains with swag and tails, curtains with valance, curtains having fabric pelmets, and curtains with rubber or double linings. All Our curtain repair services in Chadstone are very economically priced. 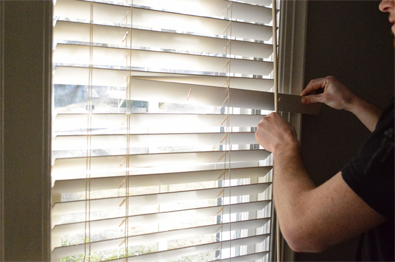 Our Curtain and blind installation and repair services are inexpensive as compared to other curtain service providers in Chadstone, who drain your pockets while just carelessly applying two or three stitches to your curtain and overlooking details. We guarantee to provide you a great service with no damage to any of your curtains or blinds. At PJ curtains and blinds we have certified and experienced technicians to take care of your worthy and cherished curtains and blinds. With an exceptionally friendly attitude, we take great care while working with your prized possessions. All of our technicians have a very professional perspective towards their work that is why our customers acknowledge our quick and on-time service and regard us as the most adept curtain repair Chadstone service providers!